Is there a dog in your family? 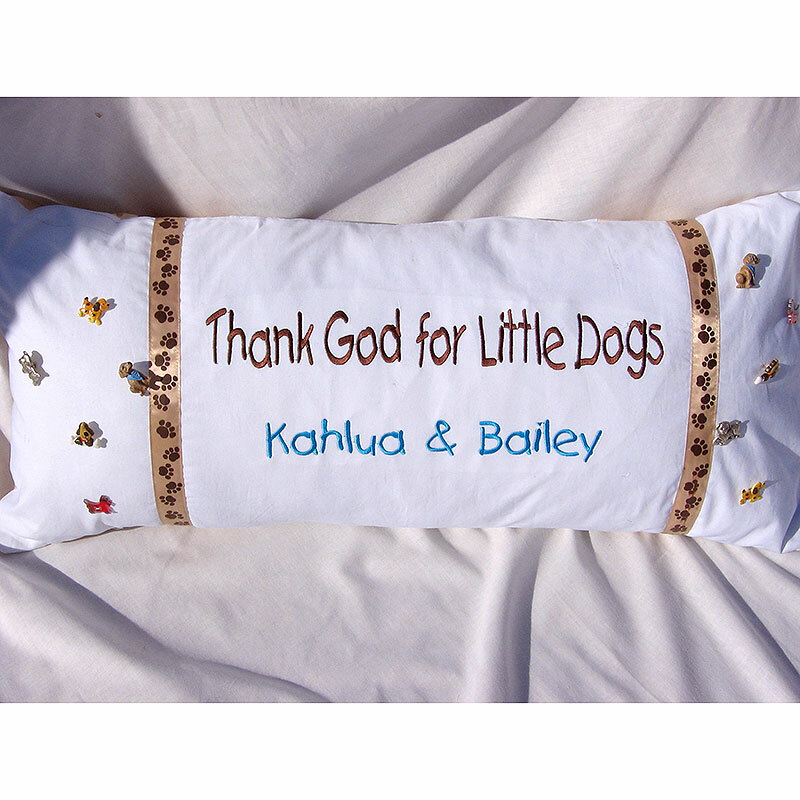 Honor him or her with this unique dog pillow. 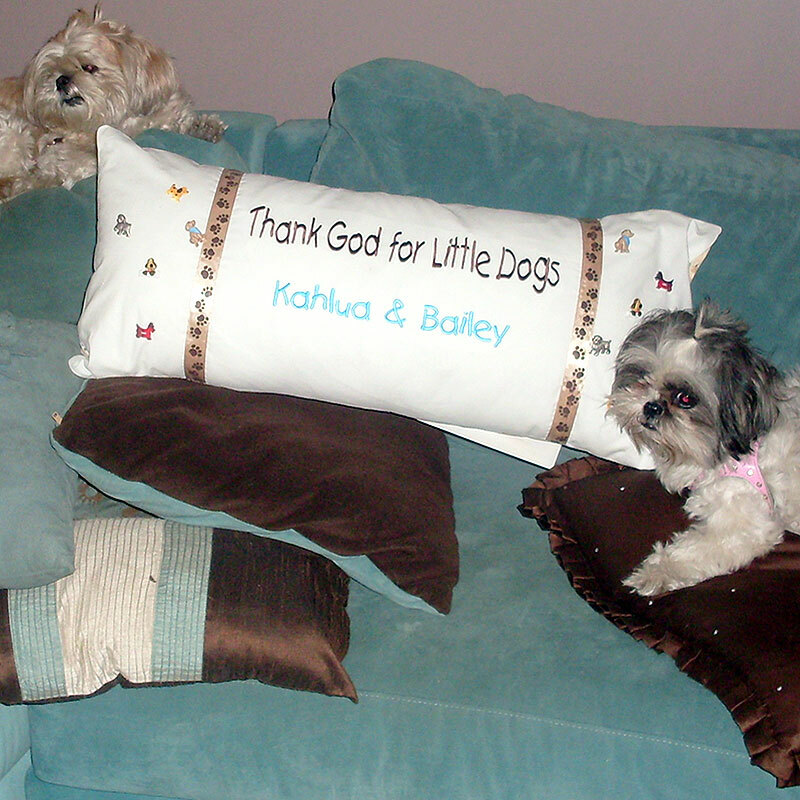 This special pillow was requested by the owner of 2 little Shitzu dogs – Kahlua and Bailey. It was designed to coordinate with the color scheme of the home – turquoise and brown. 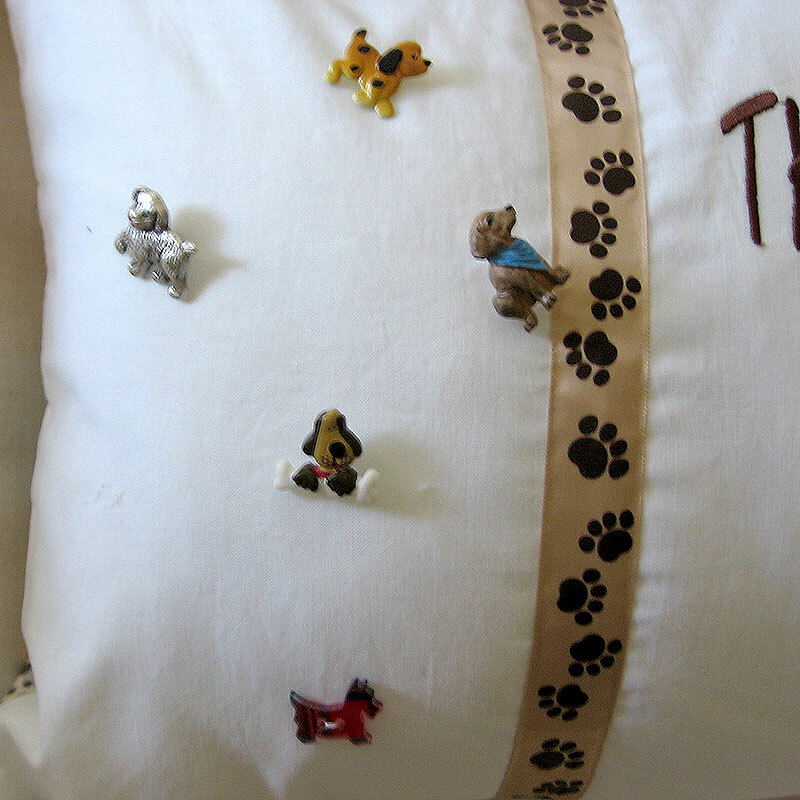 The features include ten dog buttons, ribbon with doggy paws, and a positive statement that dog lovers believe hold heartedly: “Thank God for Little Dogs” The back of the pillow is also amazing – check it out for yourself. 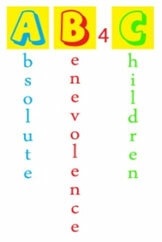 Our motto, AB4C keeps us working hard to help make this world a better place for kids. abused children and children with serious illnesses. AB4C has a new meaning… pass it on! It has 10 amazing dog buttons on the front. We used premium polyester to fill it. Best of all – it is handmade just for you. Grandparent service: Want it wrapped and shipped to your grandchild? We’re at your service. 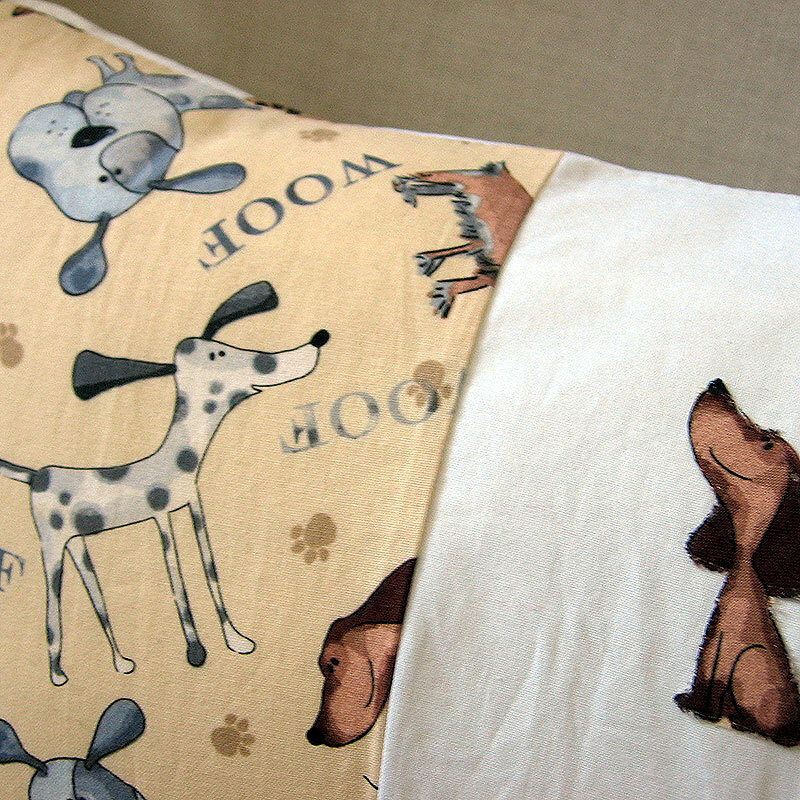 Pillows embellished with accents are recommended for decorative purposes only.